Book direct and online now without the need to purchase tickets. 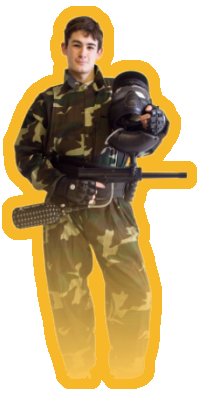 Once we have confirmed availability and processed your payment, you will be sent email confirmation of your booking and further details about your chosen paintball centre. Select your venue and Game Date below to make a booking with Pure Paintball. You will be able to change the number of players in your group by changing the quantity required on the following PayPal page. Choose a Date for your Paintballing.